Despite the understandable postponement of the publication of the sequel of Children of Blood and Bone by Tomi Adeyemi I am not grovelling like I used to with other series. I know the minor delay on this book, which is called Children of Virtue and Vengeance, will surely give way to bringing out the best version of it. And I'd rather wait a few months more than have a sloppy one. But in the meantime I hope you enjoy the cover of the second book in the Legacy Of Orisha series. The cover as you will see has a gorgeous makeover, featuring a hyperrealistic art as opposed to the "loose" modernistic art of its predecessor. Despite the change I am wondering why my OCD is so forgiving this time and it doesn't even trigger me to bawl... We should all thank Sarah Jones for the illustration and Mallory Grigg for the design and art direction. Checkout the cover of Children of Virtue and Vengeance by Tomi Adeyemi. After battling the impossible, Zélie and Amari have finally succeeded in bringing magic back to the land of Orïsha. But the ritual was more powerful than they could've imagined, reigniting the powers of not only the maji, but of nobles with magic ancestry, too. 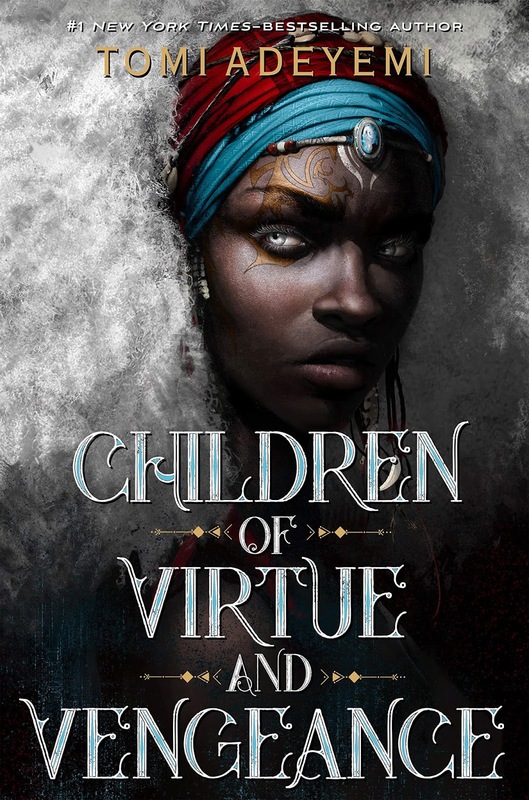 Children of Virtue and Vengeance is the stunning sequel to Tomi Adeyemi's New York Times bestselling debut Children of Blood and Bone, the first title in her Legacy of Orïsha trilogy. Children of Virtue and Vengeance by Tomi Adeyemi will be released on December 3, 2019.